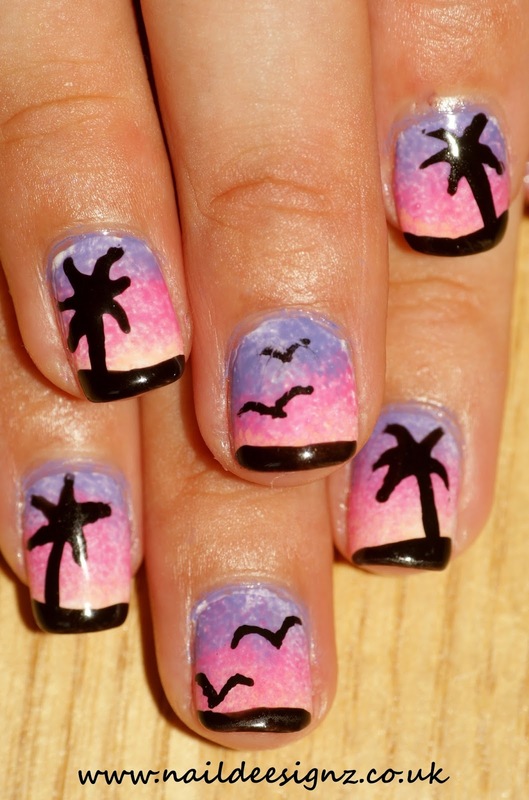 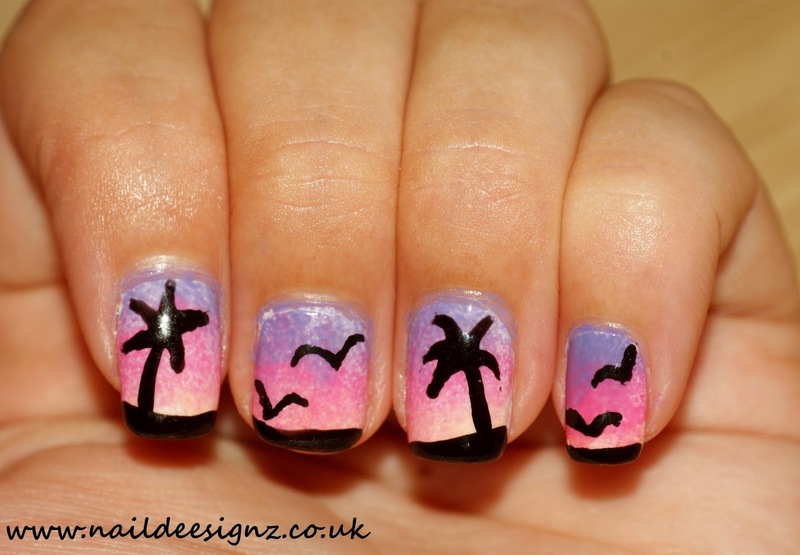 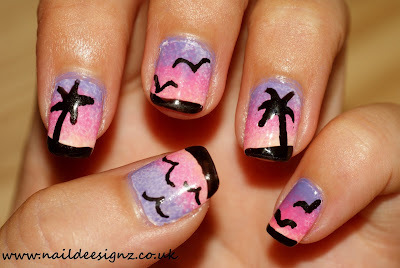 So here is my next summer nail art design. I wanted to do another ombre design as I had so many compliments on my last one. 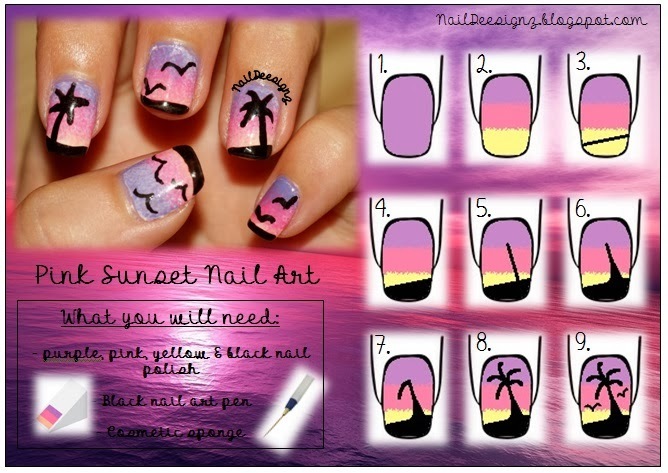 I thought I would make the ombre into a sunset backdrop. I added some birds and palm trees to create this lovely summer design.